Drone use against terrorists causes collateral damage, but it remains “the most effective weapon” in the United States’ arsenal, former Deputy Director of the CIA Michael Morell told RT in a wide-ranging interview. Speaking with RT’s Ben Swann, Morell defended the United States’ use of drones. He also laid out how the US entered the Iraq War and responded to investigative journalist Seymour Hersh’s controversial report on the killing of Osama Bin Laden. 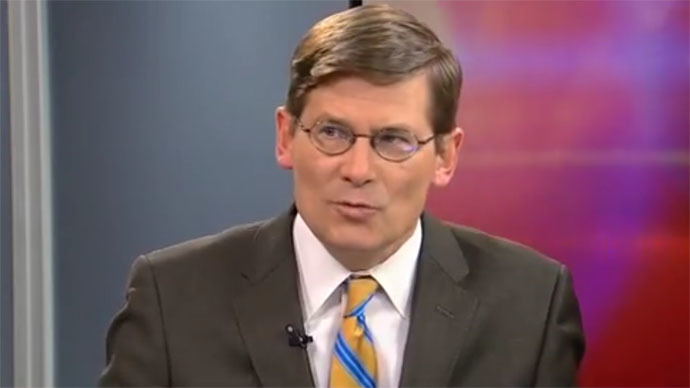 Swan asked Morell – who worked at the CIA from 2011 to 2013 – specifically about whether drone strikes were an effective US foreign policy tool and if they weren’t actually creating more terrorists than killing them. The former CIA deputy said there’s “absolutely no doubt” that the program radicalizes additional people – though there are no studies to qualify this – but then explained that the alternative to drone strikes is worse. While Morell acknowledged deaths of innocents, he also dismissed the idea that drones are killing as many people as third party reports state, calling drones “the most precise weapon” the US has. However, Morell said that although the US has done a good job of targeting its enemies overseas, it has not done a good job in the “war of ideas,” which includes stopping the radicalization of young men and women around the globe. When it comes to religious issues about Islam, that’s where Muslim leaders and teachers have to take the lead. Swann also asked about Seymour Hersh’s recent article in the London Review of Books, which stated that the Pakistani government knew Bin Laden’s whereabouts and challenged if the US military uncovered valuable documents and traced the location of ‘America’s Most Wanted’ by tracking a courier. Morell had previously described Hersh’s account as “rubbish” and “hogwash,”and he stood by those claims when asked about them.“In almost every regard he’s wrong,”Morell said, referring to Hersh. “The Pakistanis were not holding Bin laden under house arrest in Abbottabad. The documents that we found there showed he was managing the organization – in fact, we were surprised at the extent he was micro-managing the organization. It wasn’t the Pakistanis who told us he was there or someone who walked into our embassy and we paid $25 million to,” said Morell. He added that the US followed who it thought was bin Laden’s courier and concluded that the Al-Qaeda leader was in Abbottabad.